3 is the number of weeks it has been since I brought Fitness Boxing and begun my little experiment with it. 32 is the number of hours I have spent working out and 63,224 is the number of punches I have thrown and yet, 0 is the number of kilos and pounds I have lost. This is going to come across as being a little whiney, but while this week started off well, I am in a bad mood today. It is one thing to have no results in the first week or two, but nothing whatsoever after three weeks? I am eating healthier, I am getting plenty of additional exercise in the form of a day that starting yesterday, has me waking up at 06:30 in the morning, just so that I can start work by eight and work 10 hours a day and that’s not in an office. It’s on a building site and being the youngest one on site, I’m the legs that is being ordered to do all of the fetching and carrying and ripping out bathrooms. Furthermore, on Sunday just gone, I spent the best part of the morning going up and down ladders on a separate job, scrubbing walls clean so that in a couple of weeks’ time when the client is ready, I can apply a sealant to the walls and paint them. I even decided to up the ante, by working out even more so, making every “off day” a day where I spend 40-50 minutes (depending on the exercises that are picked out for me,) doing my daily work-out and I got my sister to up the ante as well, but after 11 hours and 29 minutes, all I have to show for it, is gaining another ounce. 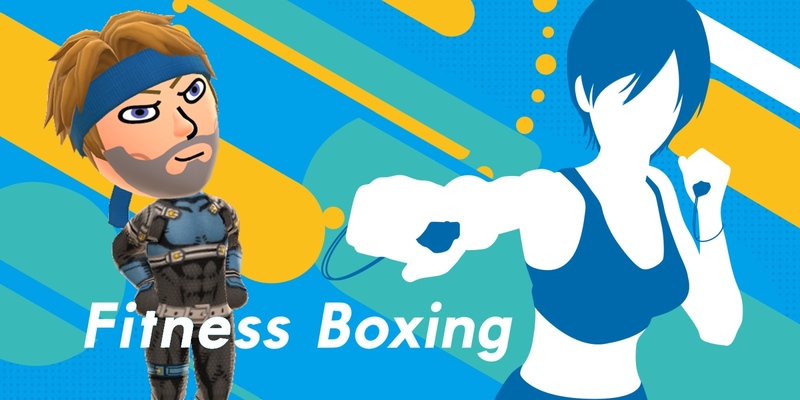 As for why I’m peeved, other than waking up early and leaving for work in the dark, without a cup of coffee in me, after today’s workout, which I just wasn’t feeling since I was tired from work and before I started to write this entry, I was reading an article by Nintendo Life that talks about those who are benefiting from the game. I am really glad that Fitness Boxing is being able to help people and some in a huge way, but their success has me feeling jealous. My weight is a serious issue and having lost my dad last October due to a heart attack, his first one no less, I NEED to change my weight situation. I need to change a lot of things about my life, including how I earn a living during diurnal hours and where I live, but losing weight is a priority. A priority, which I am not able to fulfil by going to a gym, since any and everything I currently make is going straight into a pot, to fund my move back to England, since Brexit has started to affect my way of living in Spain and it’s just not viable to remain here any more. My days are also pretty full since there is plenty to organise and a never-ending list of things to do, so for those reasons, going to a gym is just not on the cards for me, not when most of my workouts are at night anyway. Given my current employment, I doubt I will spend much time with Fitness Boxing this week, but I will do what I can, when I can, I will be back again next week and hopefully in a better mode.